Yes I’m back (back again – dang, now I have Eminem stuck in my head!) with more swatches that have been lost to time – UNTIL NOW! (I feel like an informercial here, lol.) Today I’m bringing to you Pretty Serious Cosmetics Toxic Tiara, Viscous Vampire, and Gruesome Groom – I guess all appropriate since Halloween is coming up! Morning all! Just a quick post this morning. The baby has been sick, on and off, all week long and I’m behind in all my blog work. Plus another of my kiddos was sick this week too…sigh. It’s been a long one then. At any rate, let’s take a look at Pretty Serious Cosmetics Ninja-lish-ious! 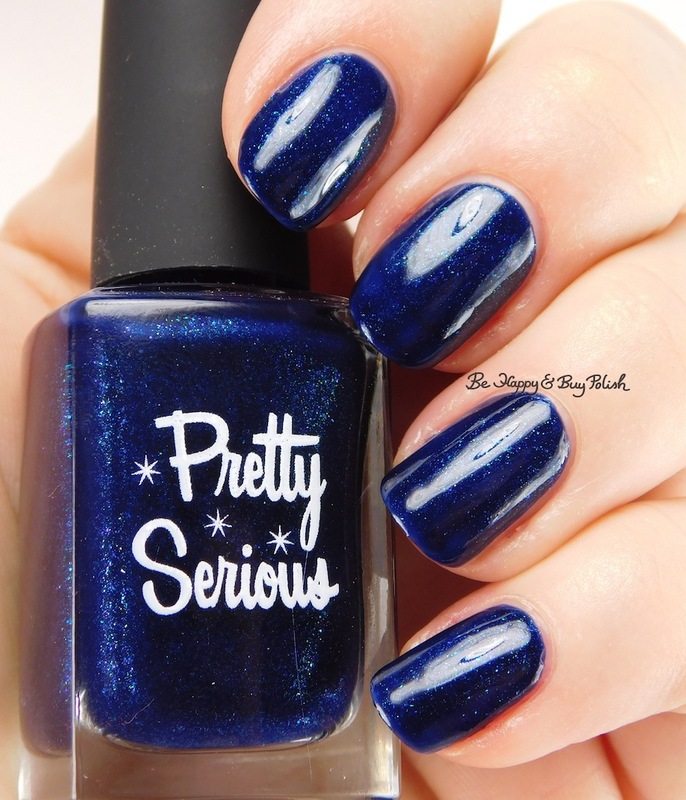 Ninja-lish-ious is a pretty dark blue polish with flakes of green and midnight blue. This is 2 coats plus top coat. Formula was a bit thin for my taste. Be Happy And Buy Polish: 8 nail polishes inspired by 8 iconic female musicians? 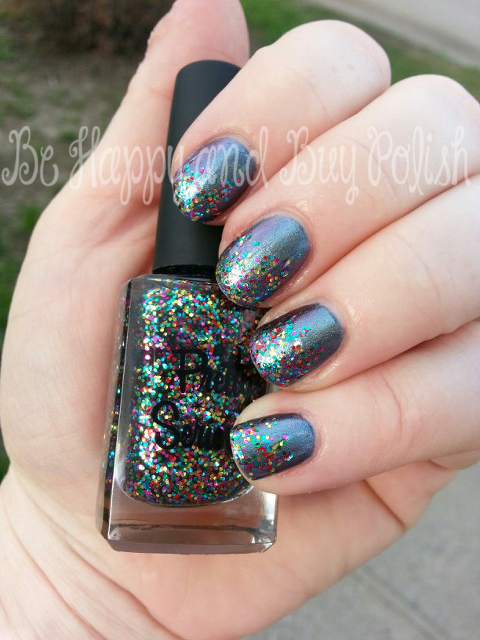 Jessica has all the details about this collection from Pretty & Polished! Never Say Die Beauty: Have you tried a hair straightening brush yet? Allison gives you her take on the ACEVIVI Digital Hair Straightener Brush! I Know all the Words: Must Have Micellar options from Simple Skincare, because, can you ever have too many? Lola’s Secret Beauty Blog: Helen from Lola’s Secret Beauty Blog was interviewed by Woman’s World Magazine about Beauty Oils– be sure to check out the article! It’s on newsstands now! Good evening everyone! I meant to have a post up earlier today, but I’ll be honest – it really was a crappy day. I’ve been fighting anxiety all day – sat down to paint my nails during the baby’s nap time this morning and that helped a bit; then had a panic attack while I was picking up my kids. (Not fun, at all.) At any rate, some days are good and some days are bad, and today just happened to be not great. But I really wanted to share some polish with you – two really great creme polishes from Pretty Serious Cosmetics. Both of these are still available at the Pretty Serious Cosmetics store, and I highly recommend them both. Now that I’ve tried the PSC cremes, I’ll be purchasing more. Anyway, I hope you all had a great week and are looking forward to a good weekend. I’m hoping for no more panic attacks, so I’ll be laying low. 🙂 All the best to you! Happy Easter all, if you celebrate! And if you don’t, well, happy Sunday! 🙂 Today I went a little non-traditional for my Easter manicure. Read on for more details! I started with 2 perfect coats of Pretty Serious Cosmetics Gloomy Kitty on my thumb, index, and pinky. On my middle and ring fingers, I used 3 thin coats of Polish ‘M Spring Prototype 23. Spring Prototype 23 is a lovely white crelly mix, glitters of all sorts of sizes and colors. Shown above with matte top coat and below with shiny top coat. Though I loved the manicure, I thought I could improve on it. Sigh…why didn’t I leave well enough alone? 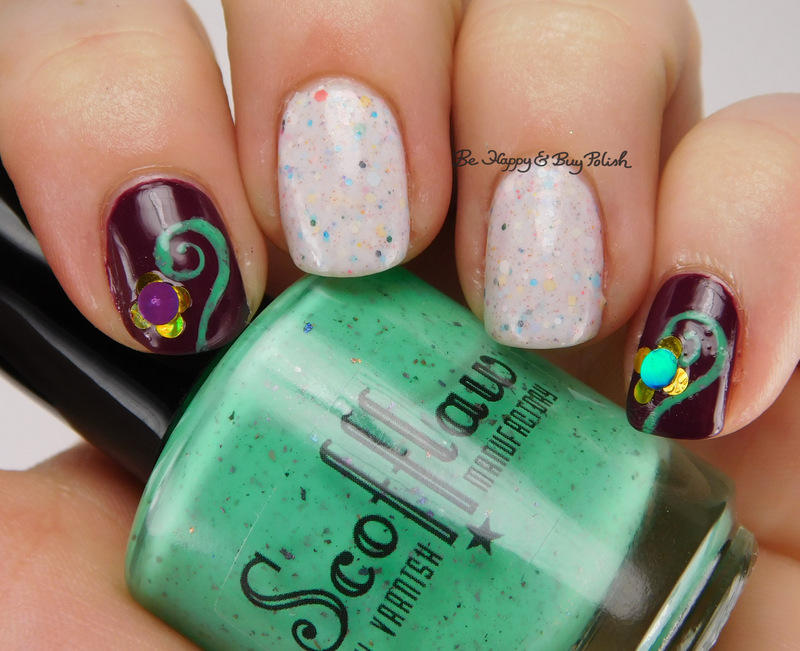 So using a Polished Vino swirly decal and loose glitter from KBShimmer, I decided to go for a flower & vine look. I don’t think it turned out how I wanted, unfortunately. What do you think? Hey ya’ll – I’m exhausted. No joke. Yesterday I was up too early (after approximately 3 hours combined sleep) and didn’t get to bed until past 10. So, no excitement here today. In fact, I almost didn’t get this post up. But, I know if I let one day slide, I’m liable to take a few weeks off. LOL. So, the show must march on! Today it’s Pretty Serious Cosmetics Daphne’s Disco Party over Formula X Indelible. Indelible is a pretty blurple (or purlue?) creme nail polish. This is 2 coats and no top coat. Formula on this is fairly thin, and stinky. It must be the pigment. But on the upside, it self-leveled really nicely. Over this I used 1 coat + dabbing of Pretty Serious Cosmetics Daphne’s Disco Party. DDP is kind of thick and was hard to spread the glitters around evenly. Part of that blame can be laid at my feet, as I don’t think I allowed Indelible to dry enough. Oh well, can’t get it right all the time! Good morning, awesome readers! Pretty Serious Cosmetics Mummy Mush is on the docket today. I picked up 7 polishes from them during a sale and I’ll be showing them to you over the next few months. To my eye, it had more of a baby pink to greenish shift than blue. This is 3 thin coats plus top coat. Formula was fairly good! I have to be up front: removal was the biggest pain in the rear ever. I had gold glass flecks everywhere around my skin. I think I ended up having to do a mani soak with scrubbing, followed by a hand scrub with more scrubbing. For what it’s worth, I still like this polish, but I think it should come with a warning label (joking, sort of!). This is still available at Pretty Serious if you’re interested in picking it up. What do you think about this polish, worth the hassle of removal or not? Happy Birthday Daphne and Pretty Serious Cosmetics! 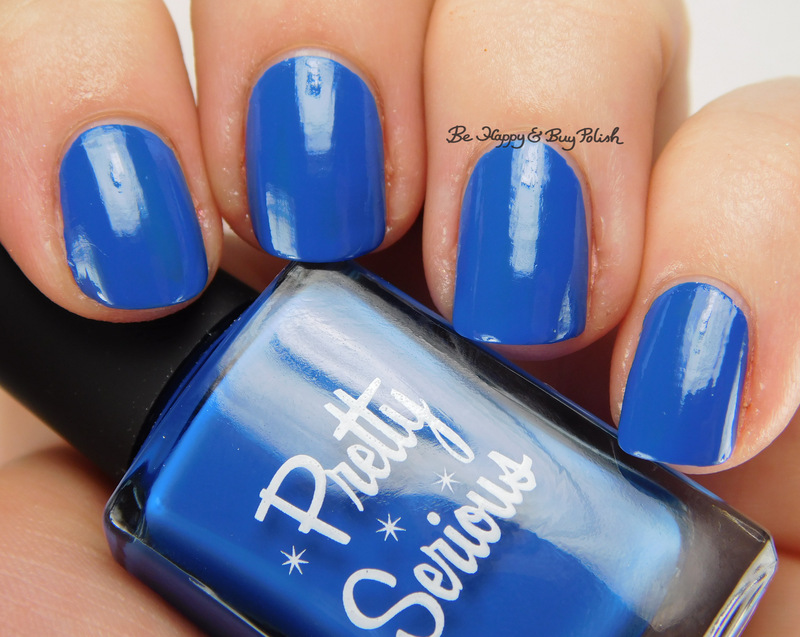 Posted in Manicures, Nail Swatches	by Jessica W.
I’m joining in on the fun today in celebrating the 1 year birthday of Pretty Serious Cosmetics! I’m new to Pretty Serious Cosmetics, but I gotta say that their ship time was awesome, the formula of “Daphne’s Birthday Party” was great for a glitter, and I’m digging “Daphne’s Birthday Party”. I grabbed a bottle to join in the celebration – and of course I’m hoping to win the prize of every polish they release until Daphne’s 2nd birthday! So, with all that said, onto the swatches! I decided to layer “Daphne’s Birthday Party” over my existing mani of yesterday, especially because I wanted to keep the color-shifting with the glitter. Because of the color-shifting base, it really allows Daphne’s Birthday Party glitters to really pop and be seen the way they should be. I did a slight waterfall look to Daphne’s Birthday Party, and I really like the way it turned out. It makes it look like falling fireworks, definitely appropriate for a birthday! What do you think? Be sure to check twitter and instagram for the hashtag #happybirthdaydaphne and #prettyserious to see all the cool swatches. Also check out their blog post (which totally made me tear up!) detailing this special occasion.